In Istanbul we stayed at the Swissôtel the Bosphorus. 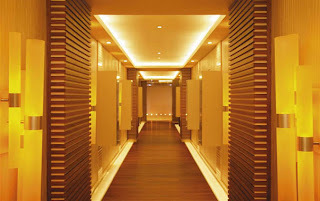 Overall it's an average large hotel - impersonal but comfortable rooms, a big staff, several adequate restaurants. It does have stunning views of the cobalt blue Bosphorus, particularly in the lobby, and service was always responsive. 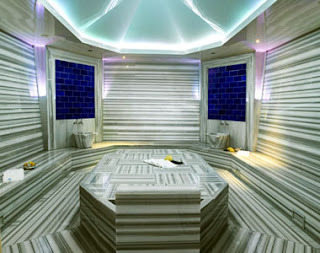 But what really makes the Swissôtel worth a stay is the hammam at the Amrita Spa. It is gorgeous! 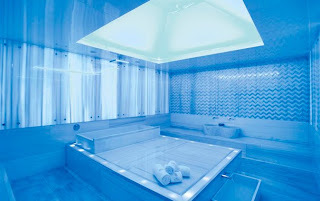 I could have spent an entire day circulating between the salt steam room, the sauna, the color-therapy and the ice-cold footbaths. 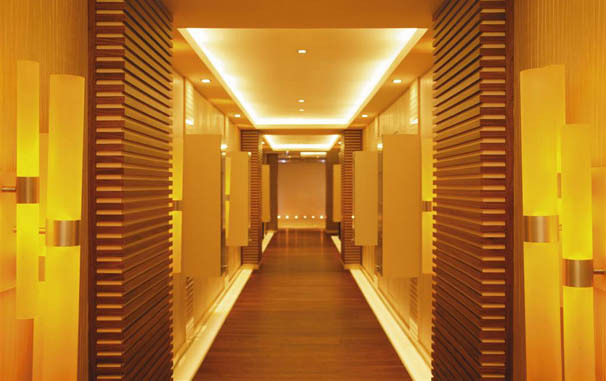 You enter the hammam through a glowing amber hall lit by flickering candles. 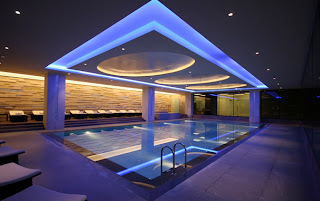 Inside each room is lit in either cool blues or warm tones depending on usage. The icy footbaths change colors as you soak your feet (futuristic!). And the women's changing room offers every convenience- downy robes, slippers, powerful hairdryers and a myriad of hair products.